When Should You Have Your Home Rewired? If you live in an older home, having your home rewired may be essential. If you want to protect and preserve your home, you must ensure your home’s wiring system is updated and modern. In addition to being critical for safety, this is a great way to boost your home’s value. If your home is at least 25 years old and has not been updated, this is the year to take a closer look at whether you have copper or aluminum wiring. Old wiring is outdated and does not meet modern codes. Because of this, older properties must be rewired to support today’s large appliances and household demands. If you’re not sure whether your home’s wiring has been updated or if it’s time to redo it, contact Henderson Electric of NWF to help you. Knob and tube wiring is standard in older homes. The issue with these systems, though, is that they don’t include ground conductors. This makes them more vulnerable to fires and shocks. Additionally, older systems like this often don’t support household electrical consumption, so they may overload under use loads. If you’re worried your home has knob and tube wiring, have your electrical system evaluated as soon as possible. You may be a candidate for having your home rewired. Aluminum wiring pales in comparison to modern copper wiring. Copper wiring isn’t as vulnerable to arcing and sparking as aluminum wiring and will cut the risk of household fires immensely. If your home has aluminum wiring, you should replace it immediately to avoid safety concerns. Is it Time for an Electrical Inspection? 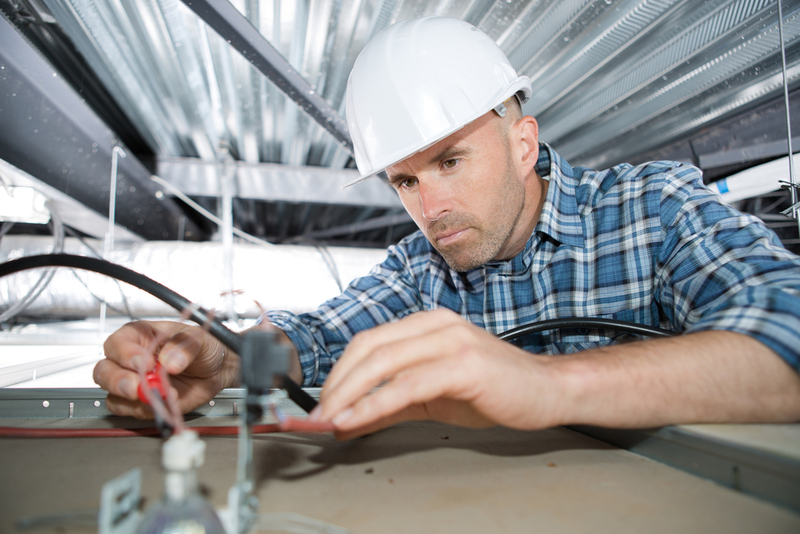 If you’re concerned about your home’s wiring, contact Henderson Electric to inquire about an electrical inspection. We offer full-service electrical inspections, complete rewiring, and other services to help you stay safe at home. Give our team a call today to learn more. We are here to ensure the safety of your NW Florida home. Copyright ©2016 Henderson Electric of NWF. All Rights Reserved.